United States Armed Forces and the Canadian Armed Forces, the equivalent three-star rank is lieutenant general. The rank of air marshal is immediately senior to the rank of air vice-marshal and immediately subordinate to the rank of air chief marshal. Officers in the rank of air marshal typically hold very senior appointments such as commander-in-chief of an air force or a large air force formation. Officers in the ranks of air chief marshal and air vice-marshal are also referred to generically as air marshals. Occasionally, air force officers of marshal rank are considered to be air marshals. Royal Air Force use and history Origins Prior to the adoption of RAF-specific rank titles in 1919, it was suggested that the RAF might use the Royal Navy's officer ranks, with the word "air" inserted before the naval rank title. For example, the rank that later became air marshal would have been air vice-admiral. 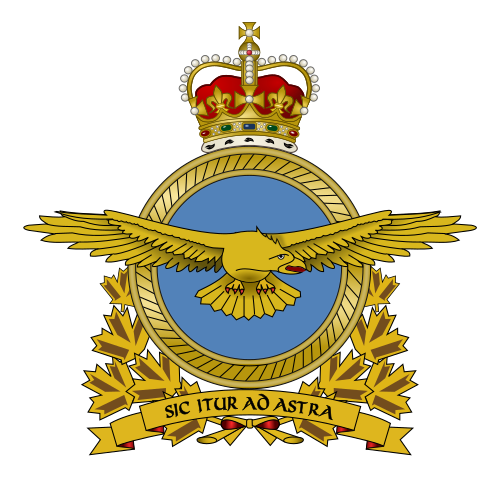 The Admiralty objected to any use of their rank titles, including this modified form, and so an alternative proposal was put forward: air-officer ranks would be based on the term "ardian", which was derived from a combination of the Gaelic words for "chief" (ard) and "bird" (eun), with the term "second ardian" or "wing ardian" being used specifically for the rank equivalent to a vice-admiral and lieutenant-general. However, air marshal was preferred and was adopted on 1 August 1919. The rank of air marshal was first used on 11 August 1919 when Sir Hugh Trenchard was promoted to the rank and it has been used ever since. RAF insignia, command flag and star plate The rank insignia consists of two narrow light blue bands (each on a slightly wider black band) over a light blue band on a broad black band. This is worn on the lower sleeves of the dress uniform or on shoulders of the flying suit or working uniform. The command flag for an air marshal is defined by the single broad red band running in the centre of the flag. The vehicle star plate for an air marshal depicts three white stars (air marshal is equivalent to a three-star rank) on an air force blue background. ^ "Archived copy". Archived from the original on 13 April 2008. Retrieved 2008-03-21. ^ "Ranks and Badges of the Royal Air Force". Royal Air Force. 2007. Archived from the original on 13 November 2007. Retrieved 2007-11-26. ^ "Forms Of Address: Air Chief Marshal, Air Marshal and Air Vice-Marshal". Debrett's. Archived from the original on 19 November 2015. Retrieved 4 December 2015. ^ http://www.rafweb.org/Biographies/Trenchard.htm ^ Gillison, Douglas Napier (1962). "Chapter 1: Formation of the Royal Australian Air Force" (digitised book). Royal Australian Air Force, 1939–1942 (1st ed.). Australian War Memorial. pp. 5–6. ^ Gillison, Douglas Napier (1962). "Chapter 5: The New Command" (digitised book). 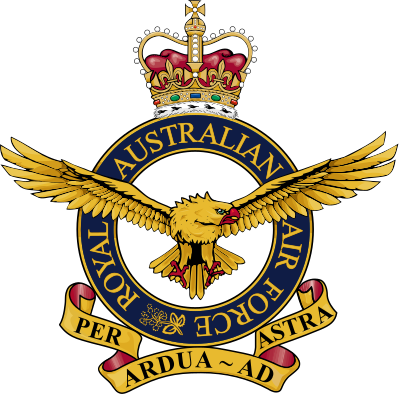 Royal Australian Air Force, 1939–1942 (1st ed.). Australian War Memorial. pp. 92–93. ^ "Archived copy". Archived from the original on 11 February 2013. Retrieved 20 December 2012.